Want to give a Malinka Box as a gift or try it once before you commit? Try a one-time order! 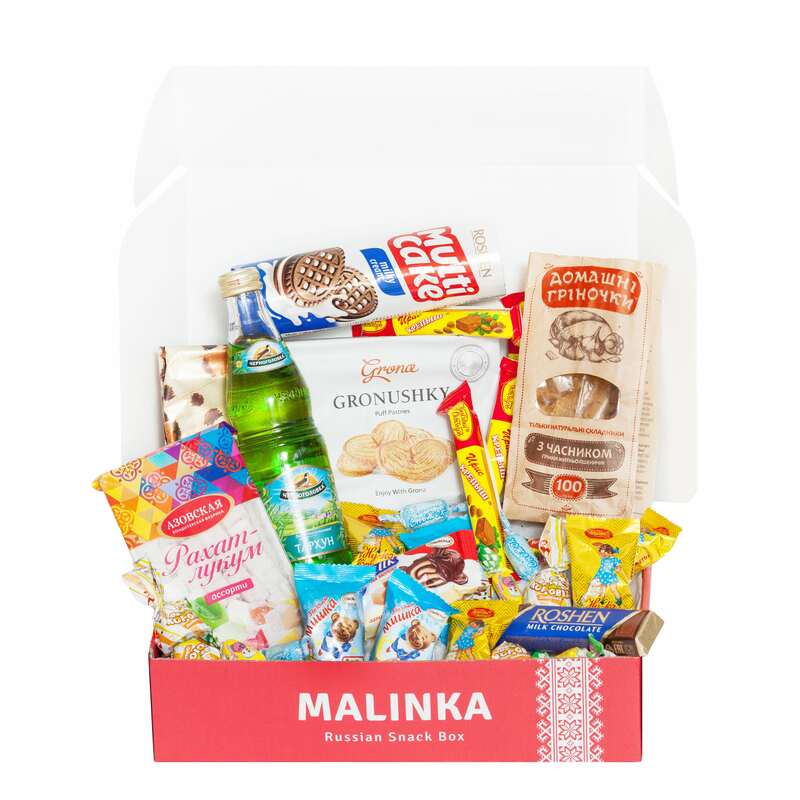 The Premium Malinka Box contains more snacks + bonus items, including an authentic Russian drink! **This is a one-time payment and will not renew.